As Indiana’s only college of veterinary medicine, the Purdue University College of Veterinary Medicine serves the needs of society by globally enhancing animal health and welfare and human health through excellence in learning, research and engagement. 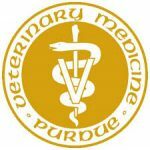 Purdue University College of Veterinary of Medicine trains the next generation of veterinary professionals, by treating thousands of animal patients and by looking for the cause and cure of diseases that impact both animal and human health. The work depends, in large part, on private donations. Friends from all over the world have become partners in funding many of the college’s programs – programs that could not continue without support. Germinder20 Power of Pink Honoree Dr. Mary Beth Leininger’s designated donation was to Purdue University College of Veterinary Medicine’s student scholarship fund. To find out more about the scholarship program and other programs, click here.